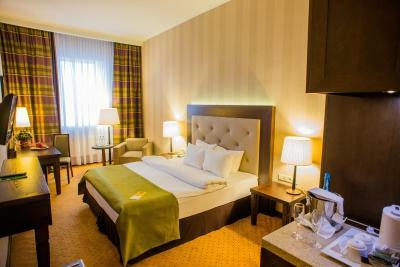 Lock in a great price for Petro Palace Hotel – rated 8.8 by recent guests! we got on the birthday of my wife and suddenly the hotel sent us a plate of fruits, cake and bottle of champagne. The bathroom floor was heated (but could be turned off). Location. Spacious room. Good value for money. Quiet room. Very comfortable bed. Aside the perfect location for visits to Hermitage, Basilica St. Issac, and Au Pont Rouge, the concierge staff is exceptionally professional. Just following her advice is winning anything. Nice staff. Good breakfast, great room and great location. Wonderful assistance with visa. Outstanding concierge, helpful in so many ways. 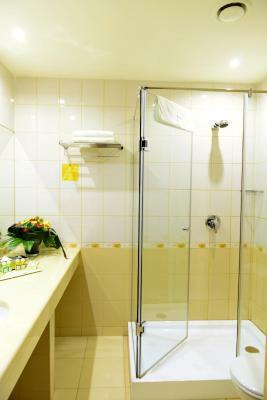 The cleanliness and the quality of sheets and towels. 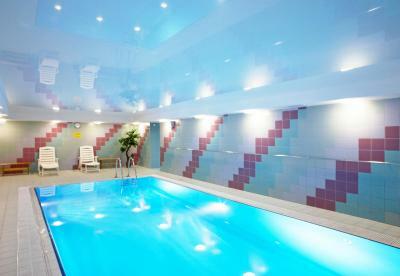 The swimming pool is nice. The Staff was amazing especially the receptionists. Special thanks to Maxuim because he was super excepcion . 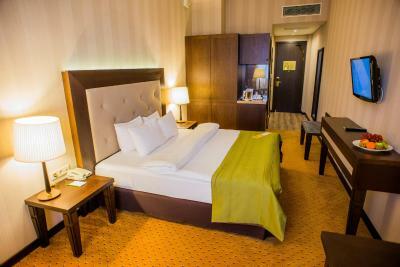 Petro Palace Hotel This rating is a reflection of how the property compares to the industry standard when it comes to price, facilities and services available. It's based on a self-evaluation by the property. Use this rating to help choose your stay! 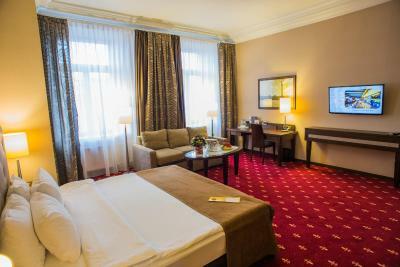 An indoor pool, well-equipped gym and air-conditioned rooms with flat-screen TV and free WiFi are offered at this recently renovated hotel, just a 5-minute walk from St. Petersburg’s Palace Square and Nevsky Prospekt Avenue. 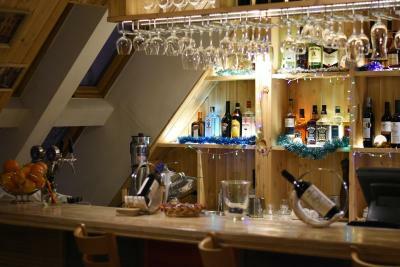 Italian Restaurant Trattoria Settimo Cielo offers beautiful views of St. Isaac’s Cathedral and the Hermitage. 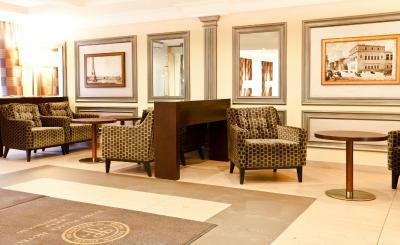 Petro Palace Hotel’s classically styled rooms include a work desk, electric kettle and a mini-bar. 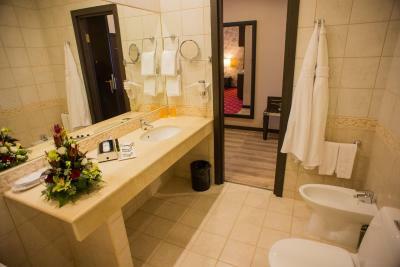 The bright, modern bathrooms feature free toiletries and a hairdryer. 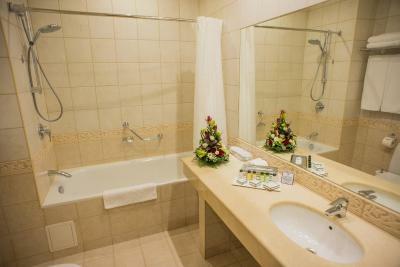 Spa facilities at the Petro Palace include a hot tub, sauna with free all-day access to its guests. 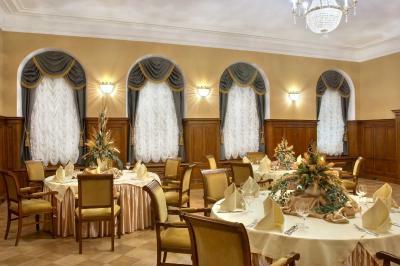 Tours of St. Petersburg can be booked at the 24-hour reception. Guests can find a cash machine on site. 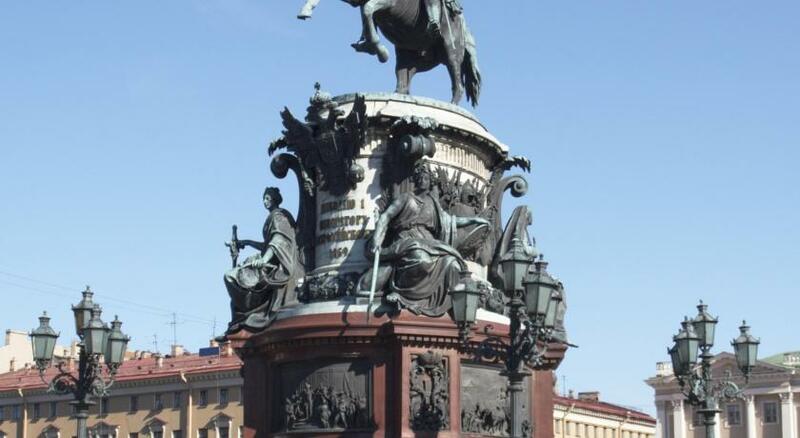 St. Isaac's Cathedral and the Alexander Garden are just 1,000 feet from the hotel. Parking spaces are available for an extra fee. 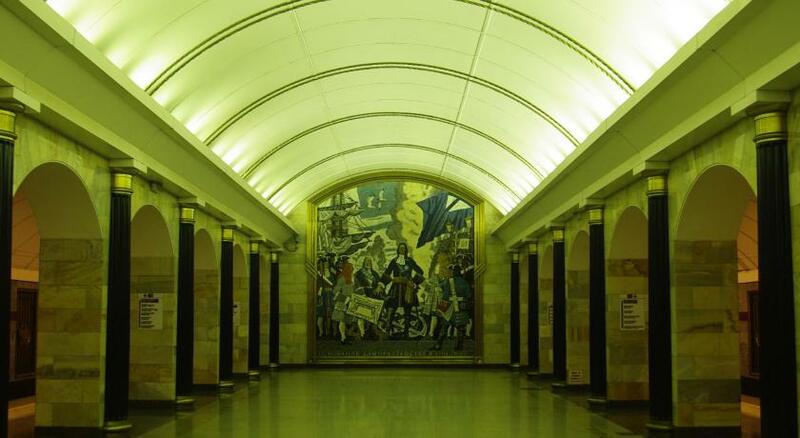 Admiralteyskaya Metro Station is 650 feet from the Petro Palace Hotel. Pulkovo International Airport is 12 mi from the hotel. 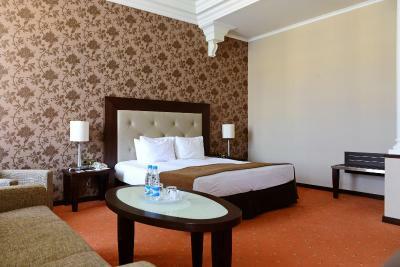 When would you like to stay at Petro Palace Hotel? 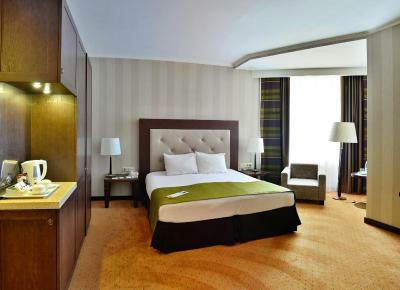 Classic-style room with a high ceiling, an electric kettle, coffee/tea facilities and a flat-screen TV with satellite channels. 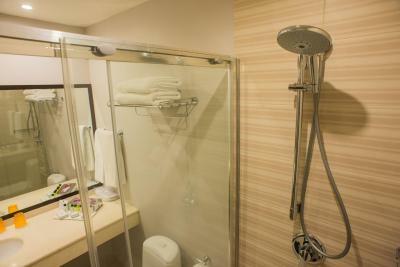 The bathroom comes with free toiletries and a hairdryer. Private parking is available on site (reservation is not possible) and costs RUB 650 per day. Classic-style room with a high ceiling. 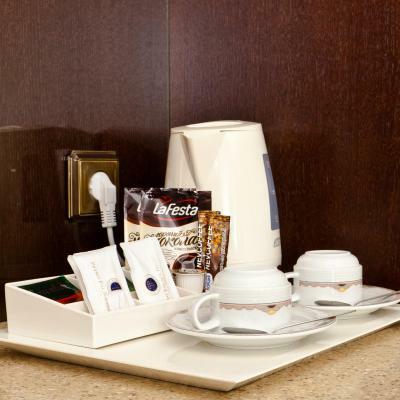 You will find tea/coffee facilities, an electric kettle and a flat-screen TV with satellite channels. 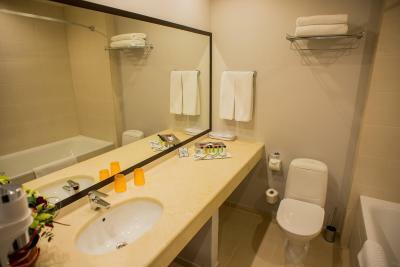 The bathroom comes with free toiletries, a hairdryer and slippers. 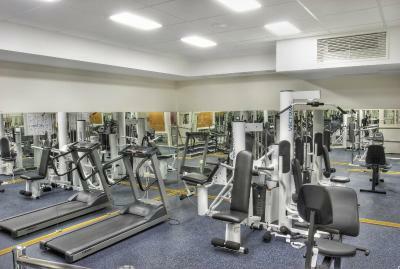 Also features additional space, a separate seating area and free use of the fitness center and swimming pool. 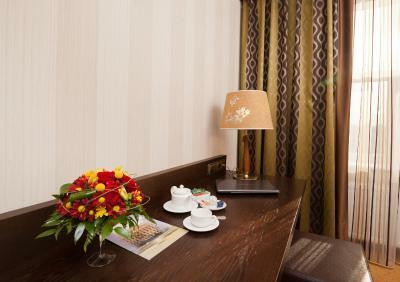 This room is decorated in classic style and includes a flat-screen TV with satellite channels, an electric kettle and tea/coffee facilities. 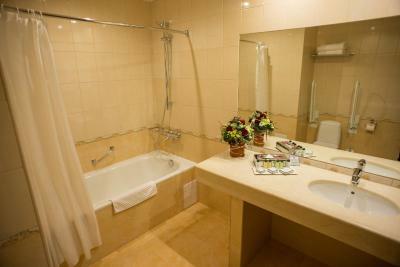 The bathroom comes with free toiletries and a hairdryer. 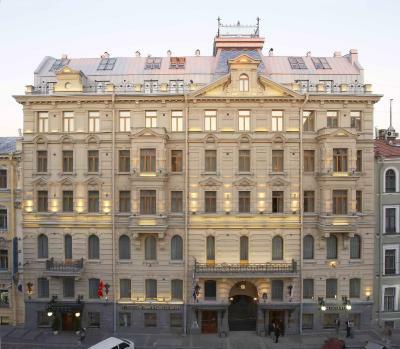 There is no other city quite like Saint Petersburg and the Petro Palace Hotel is in the very heart of it. 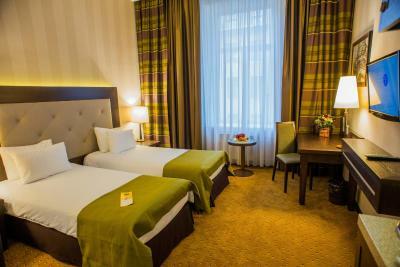 Located just some steps away from the Hermitage and St. Isaac's Cathedral and surrounded by some of the city's best restaurants and bars, vibrant cafes and most exciting theatres and nightlife the Petro Palace Hotel is a brand new superior hotel which offers the best location and superb amenities. Completely renovated in 2013! House Rules Petro Palace Hotel takes special requests – add in the next step! Petro Palace Hotel accepts these cards and reserves the right to temporarily hold an amount prior to arrival. 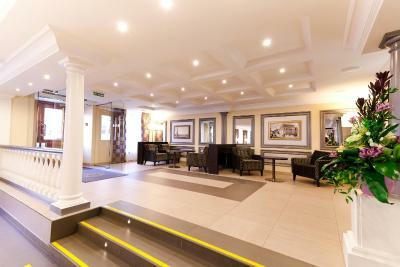 Please note that Superior and Executive room types cannot accommodate extra beds. Please note that visa support for foreigners is provided free of charge. The breakfast was not as good, and it was not included in the room charges We are not informed about the airport shuttle service. 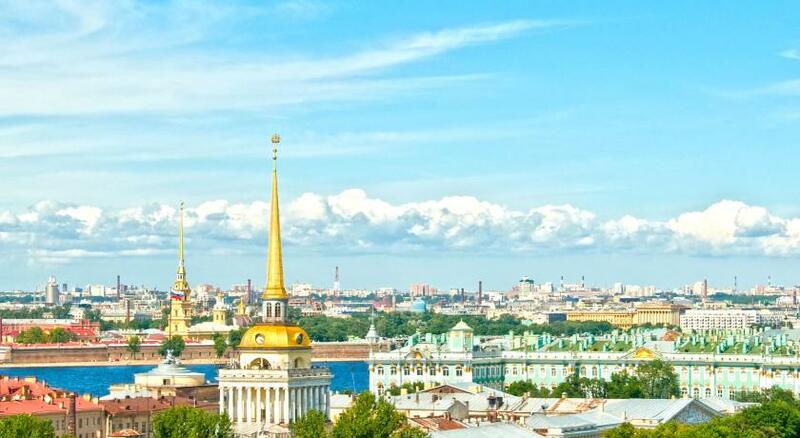 The location is good, we can work to the Winter Palace and the Church of All Saints. By the way, the scenery of St.Petersburg was amazing, even in winter! Pool area is as on the photos, too basic. Very good location, close to sightseeing and many restaurants (on the other side of the road Georgian one was super). Street is not so busy as Nevsky, so its not noisy in the room. Room was not fancy, but still comfortable and clean. We enjoyed our stay there. At the breakfast: mainly preserved fruit instead of fresh fruit is offered. Freshly prepared omlet or fried agges ar too fat. Muesli is mainly the less healthy variants. The hotel is located in the very centre next to a metro station. The hotel staff fulfilled all my wishes and did a very good job. Very helpful staff, great breakfast and very good location. Location, center if the center. Breakfast wasn't the most amazing for us but it's ideal for a quick eat to start the day. Fair amount of choice. Everything at Petro Palace is fantastic. My partner and I stayed for 5 days and we couldn't be leaving any more satisfied. Room was amazing. 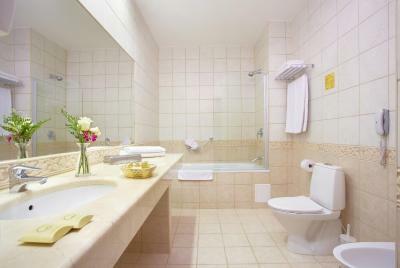 Modern, clean, very spacious, quiet, comfy bed, heated floors. Good shower. LED TV. Very kind gesture made for my partner for her birthday, a slice of cake each and bottle of champagne left in the room for us. Hotel bar and room service very good. 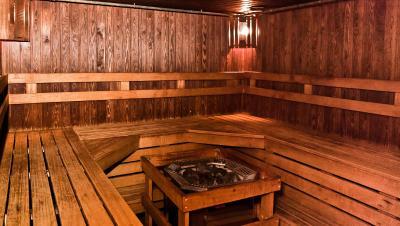 Free use of sauna and gym. Very good location, St Isaac's Cathedral, Church on Spilled Blood and other key sights and monuments within very short walking distance. Downtown is a 15 minute walk. Lots of cafes and restaurants nearby and convenience store down the road. Bus and metro very close. Hotel also has an amazing gift shop which offers guests a much cheaper rate than on the street. Massive hug and thank you to OLGA for helping us choose gifts for our family. 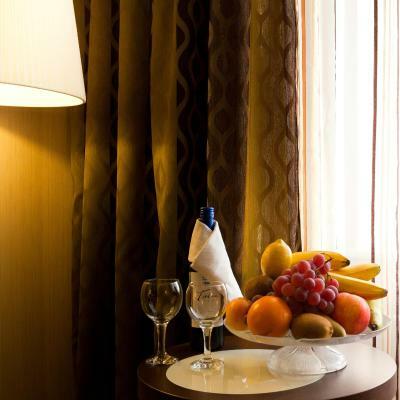 No need to pre book admission tickets to key sights as hotel concierge is very helpful. Hotel airport shuttle also the easiest and most convenient option for travel. 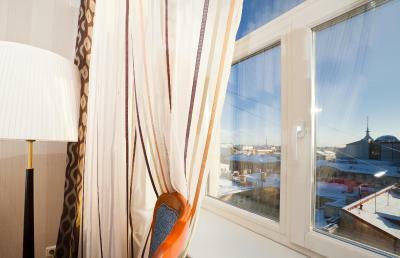 Good location, as major touristic spots are within walking distance. Also, many restaurants are nearby. There was nothing not to like ! Location-location-location !!! View from our bathroom - St.Isaac's Cathedral ! Felt like the view from rooftops in Paris ! !